Paper Street Real Estate LLC, headquartered in Downtown Manhattan, has come onto the real estate scene in late 2018. Founded by Kamilla Mishiyeva, a local attorney with 5+ years in the legal industry, previously worked as an agent throughout Brooklyn for several years prior to acquiring her legal education. “ Real estate has always been on the radar for me even as an attorney since I would constantly have exposure to it on transactional side. As a probate lawyer, assisting with the administration of an inheritance is part of my day to day, and most inheritances always have real property involved whether it is a house, an apartment, or a vacant lot.” says Kamilla. Her firm concentrates on the Financial District and Battery Park City in NYC but also brokers deals for seller’s in Brooklyn. You can visit their website at paperstreetrealestate.com along with her probate law firm website at nycprobatelawyer.com. She also operates a bankruptcy practice. Greenpoint is now the third most expensive Brooklyn neighborhood to purchase a home in with a median sale price of $1,225,000, up 37 percent from last year’s $890,969 median sale price, according to Property Sharks’ year-end report. The study’s ranking lists Greenpoint as the 14th most expensive neighborhood citywide. For the study Property Shark calculated sale prices on single-family homes, condos, and co-ops from January to November 2018. By this measure, Greenpoint is currently the third most expensive neighborhood in Brooklyn behind DUMBO (fifth most expensive in NYC) and Boerum Hill (seventh most expensive in NYC). 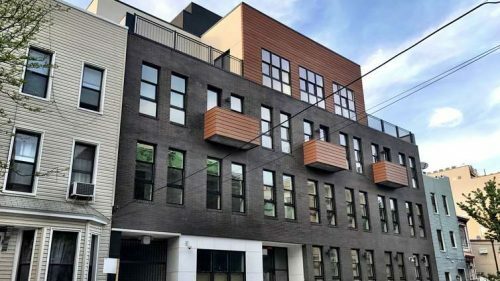 The report explains that 14 units at 886 Lorimer St. sold for a median of $2.2 million, helping to bump Greenpoint’s average upward. 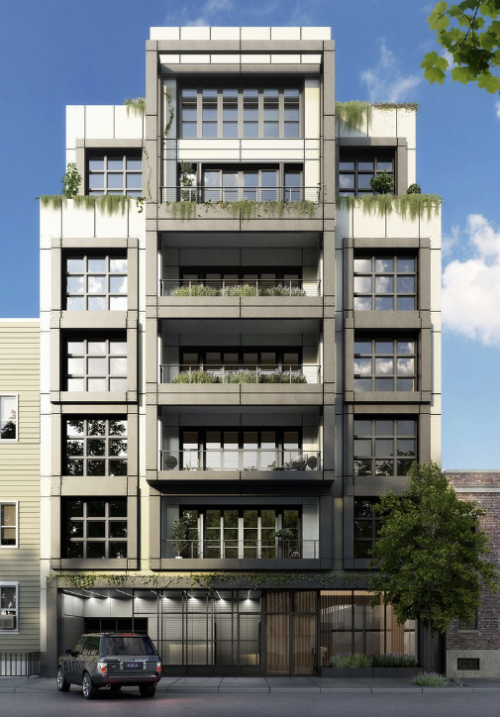 Rendering of 886 Lorimer St.
Greenpoint ranks 28th out of 50 for most transactions this year, far behind the Upper East Side, which had the largest number of deals this year with 2,150 transactions. Park Slope and Williamsburg take fourth and fifth place in the number of transactions citywide with 434 and 433 respectively. The largest price drops this year for median sales prices in Brooklyn happened in the neighborhoods of Manhattan Beach (-24 percent) and Brooklyn Heights (-19 percent). 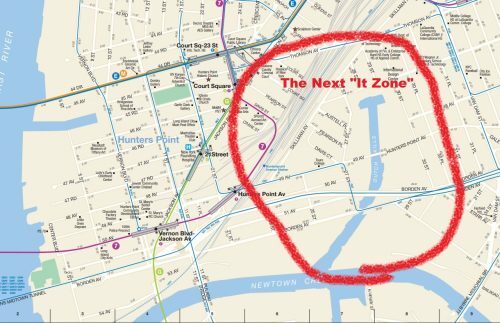 Amazon’s plan to build half of its HQ2 at Anabel Basin in Long Island City, just a brisk walk from Greenpoint over the Pulaski Bridge, is proving to be a Rorschch test. The homeownership rate in Brooklyn is around 30 percent, leaving the majority of residents in the area feeling the stress of a potential for increased rent, similar to Seatle where rent has risen 39.8 percent over the past fives years. On the other hand, real estate speculators are salivating at the HQ2 news and see an opportunity for a quick return on investment; online searches for LIC real estate have jumped 300 percent since the HQ2 announcement less than a week ago. It’s been an explosive week here in Greenpoint. While real gunfire rang out on Noble St. on Tuesday, stunt explosions detonated over the Greenpoint Avenue Bridge the very same day. In Real Estate news, a new behemoth is going up on Manhattan Avenue. 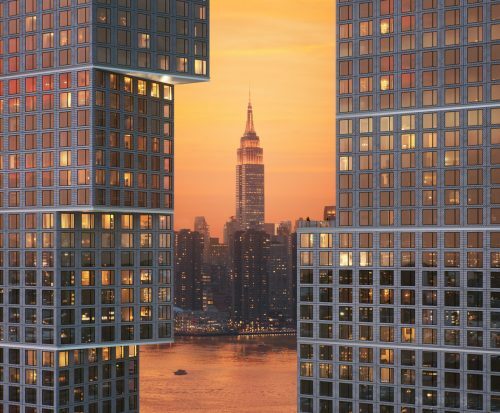 The first renderings have been revealed for 1056 Manhattan Avenue, clocking in at 56,746 sqft. of retail and residential space. 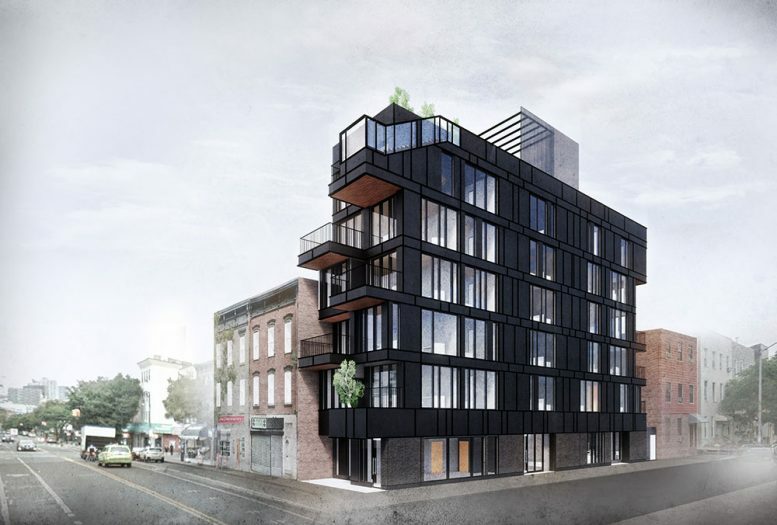 One Blue Slip, the first of Greenpoint Landing’s market rate buildings is open for leasing. 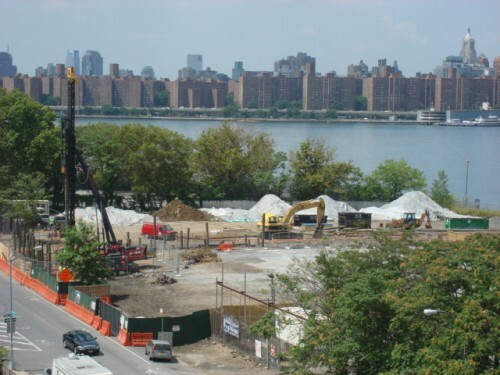 One-Bedrooms begin at $3,225, and according to the New York Times, 90% of units have water views. 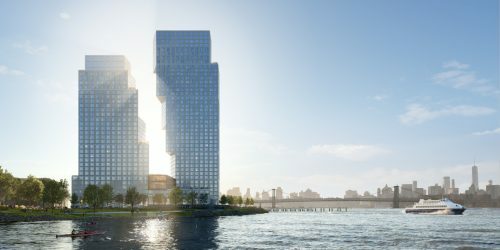 If you want to get River Views without paying an arm and a leg, you can tour the new phase two of Hunters Point South Park in Long Island City. Our intrepid content manager, Megan, found the article earlier this week, and we thought the paper gave such a detailed view of life in Greenpoint 100 years ago, we’d do a series on life in the ‘nabe back in the day. So, Welcome to our first installment of Do The Time Warp, when we look back on life in Greenpoint 100 years ago. In today’s post, we’ll check out Greenpoint’s housing market circa 1919, and delve into what life was like for people who lived here. It seems that some of the same advantages that draw New Yorkers to Greenpoint today, exerted a similar pull 100 years ago. 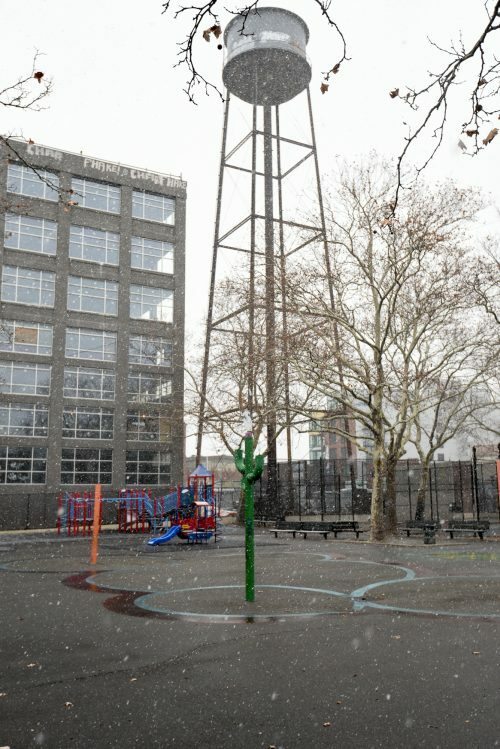 For example, the Brooklyn Daily Eagle reported that “the close proximity of this district to the center of business life in Manhattan has been fully recognized by the far-seeing manufacturers of the metropolis,” and by homeowners alike.